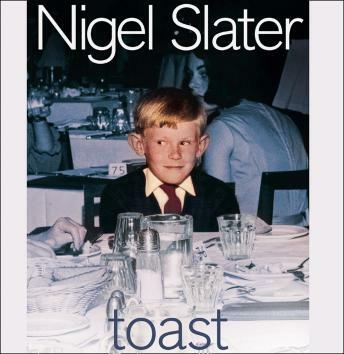 TOAST is top food writer Nigel Slater's eat-and-tell autobiography. Detailing all the food, recipes and cooking that have marked his passage from greedy schoolboy to great food writer. In December 2010 the BBC will bring out a film of Toast starring Helena Bonham-Carter and directed by Lee Hall, who won an oscar nomination for Billy Elliot. Hilarious, irreverent and mouthwatering, TOAST captures thirty years of British cooking and the recipes that we have grown up with since the days when a grilled grapefruit was the last word in dinner party chic. Everyone has gorged on cake mix, endured disastrous dinner parties, and put up with the loved one who can only ever produce burnt toast. Nigel Slater is no different. Hair-raising accounts of hotels modeled on Fawlty Towers, the mystery of the disappearing condom and the seafood cocktail, and many more, take readers behind the scenes of British cuisine to reveal the unlikely origins of our foremost cook.